I know, I know, it’s pie day. I’m supposed to have baked a tasty pie for you. 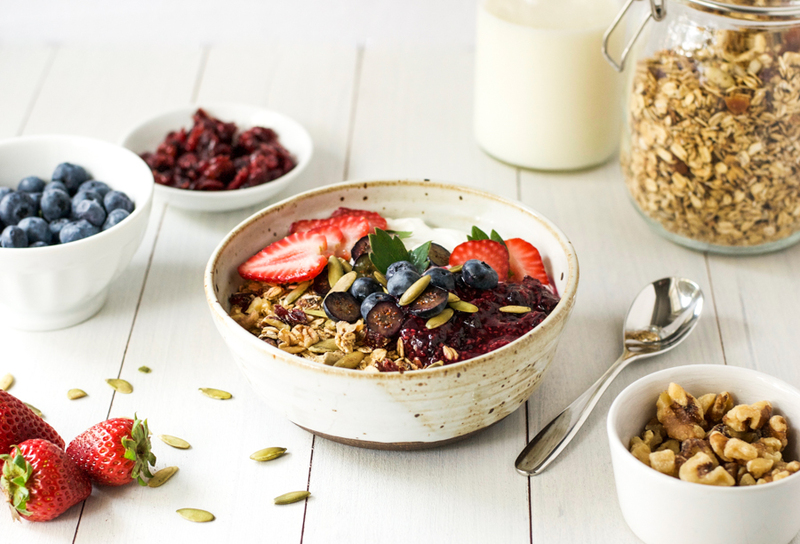 But I was too busy making a huge batch of this delicious toasted fruit and nut muesli to keep my family in breakfast food for the next month. I’ve said it before and I’ll say it again, breakfast cereal does not have to be unhealthy. While I sometimes wish my tastebuds would be happy with eggs and avocado for breakfast, I am a cereal girl through and through. So to compensate, I make sure my cereal is high in fiber and protein, low in added sugar, and I top it with greek yogurt (extra protein) and fresh berries. Fiber is one of the most amazing compounds in food. It makes you feel full for longer helping you maintain a healthy weight, lowers cholesterol, improves heart health, lowers inflammation, helps reduce blood pressure, keeps your colon healthy, feeds the good bacteria in your gut, and stabilizes your blood sugar levels. Unfortunately most of us only eat around 15g a day, which is far less than the recommended amount of 25g for women and 38g for men. 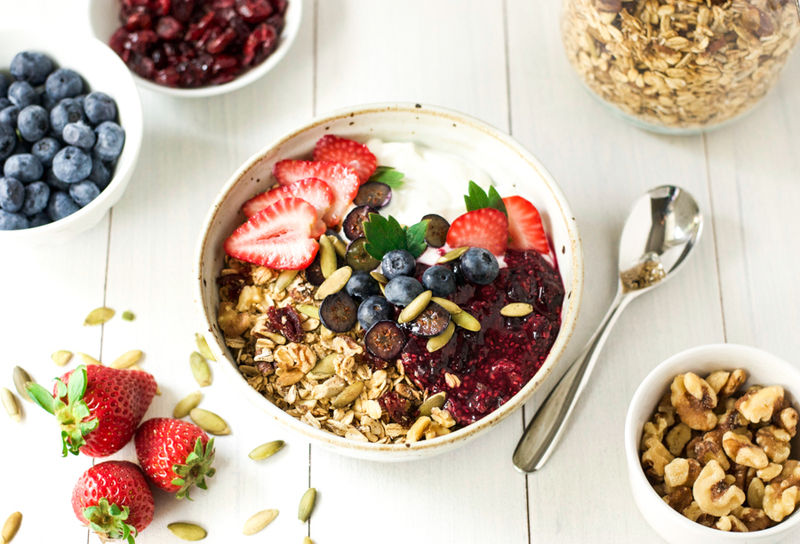 One 1/2 cup of this muesli contains 5g of fiber. Add 1/2 cup of raspberries and you push that up to 9g. That is 1/3 of a woman’s daily needs and 1/4 of a man’s. 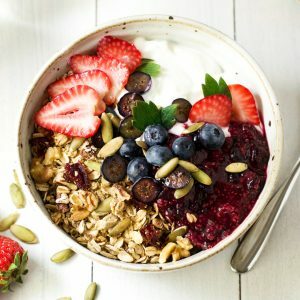 So if you think you might not be getting enough fiber in your diet, try making this vegan toasted fruit and nut muesli. I promise you won’t regret it. 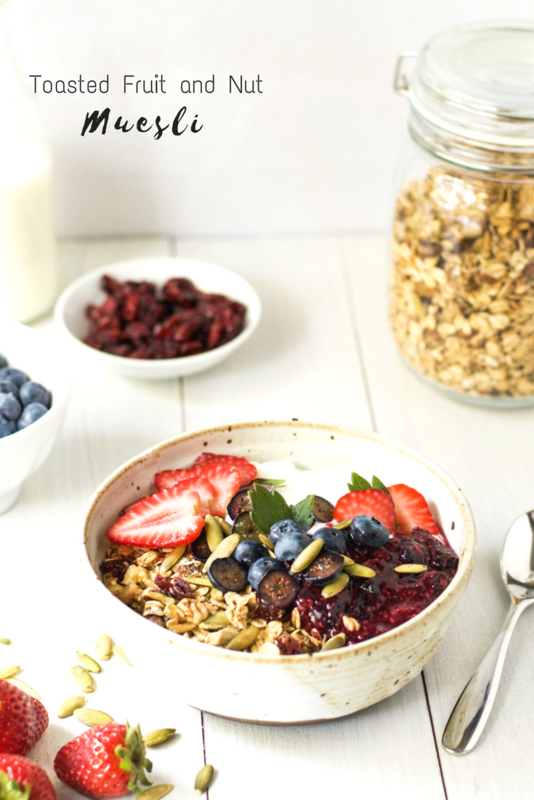 This toasted fruit and nut muesli is full of fiber, healthy fats, and antioxidants. 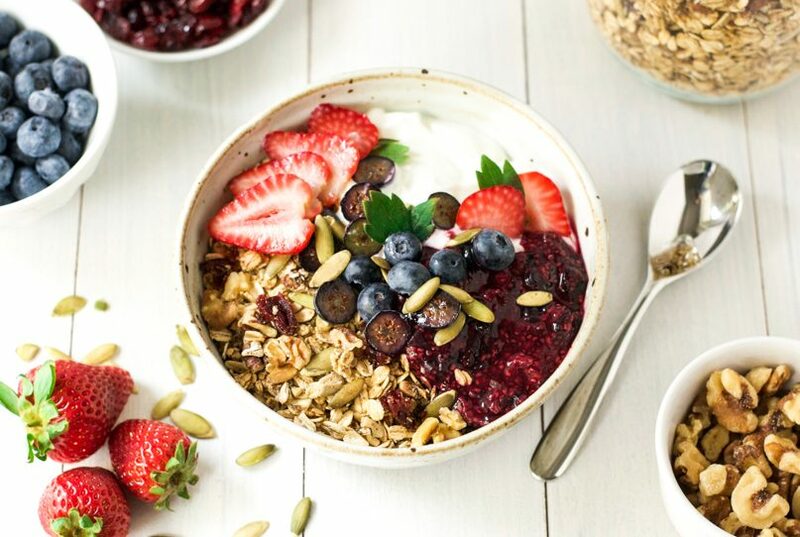 Add some Greek yogurt and berries for a wholesome and filling breakfast. In a large bowl, put all ingredients except the dried fruit and stir until well combined. Spread the mixture on a large baking tray and put in the oven for 25 minutes. Remove from the oven, scatter over the dried fruit, and return to the oven for a further 15 minutes. Store in an airtight contained for up to 3 weeks.